Albee Dental Care (Brooklyn) - Book Appointment Online! Albee Dental Care has been providing high quality and affordable dental care to the New York metropolitan area for over thirty years. Our state of the art facility in downtown Brooklyn is designed to deliver outstanding dental care utilizing both the latest and best dental technologies. Our very experienced staff is attentive to every concern and is committed to creating an environment that is both comfortable and caring. 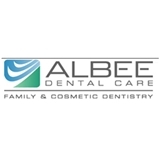 At Albee Dental Care we will work with you to create a treatment plan that not only meet all of your dental needs, but one that you can begin without financial stress or delay. Albee Dental Care, Director of dental services Dr. Richard Copell, has assembled a team of expert dental professionals and staff to provide you and your family with a most comprehensive range of dental services. Our caring staff includes two Certified Periodontists and two hygenists. I had a cleaning, Staff is pleasant enough. The wait is usually at least half an hour though. Dr. Kollaros showed genuine concern for my well being and the visit was pretty fast.